Dorothy Ter Haar, age 86, a lifelong resident of Holland, passed away Tuesday, April 9, 2019 at Resthaven Care Center. 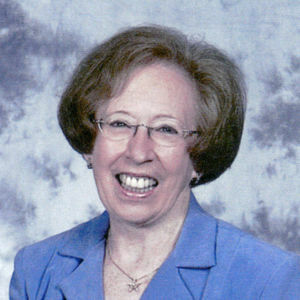 Dorothy was a long-time member of Christ Memorial Church and had worked at General Electric until it closed and at Century 21 Real Estate until her retirement. Dorothy was preceded in death by her sisters, Margaret Arens and Ann Erickson. Dorothy is survived by her children, Debra (Dennis) Prins and Dan (Jody) Ter Haar both of Holland; grandchildren, Jaime (Robert) Mosqueda, Julie Bernal, Janna (Clay) Long, Alexandria Ter Haar and Kyle Malayter, Danielle (Kevin) Panepento, Tony Ter Haar; 13 great grandchildren; siblings, Joyce (Gary) Morren and Preston Rooks both of Holland; in-law, Jerry Erickson of Holland. Funeral services will be 10:00am Friday, April 12 in the Sanctuary of Christ Memorial Church (entrances C & D), 595 Graafschap Road, Holland. Rev. Bill Boersma will officiate. Burial will be in Pilgrim Home Cemetery. Visitation is scheduled for 5:00-7:00pm Thursday, April 11 at Langeland-Sterenberg Funeral Home, 315 E 16th St., Holland. Memorial contributions may be made to Hospice of Holland.